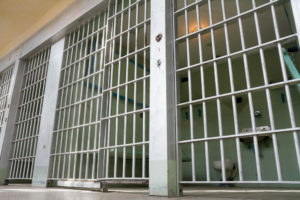 A Connecticut prison system medical investigation has raised concerns that one inmate may have experienced the consequences of medical malpractice when his cancer was diagnosed as psoriasis for more than two years, according to a recent article in the Hartford Courant. Since the 1980s, medical care in Connecticut prisons has been managed by UConn Health, which has supervised over 600 doctors, nurses, and technicians sent to provide medical and mental health care. The state ended this relationship in early 2018 after concerns about medical neglect surfaced in a number of cases. The inmate who claims medical negligence led to delayed diagnosis of his cancer is just one of several who are seeking redress in the situation. In one deposition given during the inmate’s medical malpractice lawsuit, an advanced practice registered nurse said that when the inmate’s “psoriasis” did not improve, both a dermatology consult and a biopsy were recommended, but never approved – and, the APRN said, they should have been approved. As a result, the inmate’s lymphoma went undiagnosed for over two years, while the medical care he received was for psoriasis, which he did not have. Officials at the Connecticut Department of Corrections hired an outside consultant to investigate 25 instances in which officials were either being sued or expecting to be sued on claims of substandard medical care. The report has been requested by at least one attorney representing an injured inmate. The New Jersey attorneys at Rudnick, Addonizio, Pappa & Casazza fight for the rights of our clients – every time. To learn more, contact us today by calling 732.264.4400 locally or toll-free at 866.567.0135.